As a marketing expert, you’re always looking for the next best angle to present your business or organization with. Whether it’s an event, season or holiday, there’s always a way to connect with your audience on common ground and share your product or service with them. For example, in just a few short days, we will celebrate Earth Day! Earth Day 2018 falls on Sunday, April 22nd, and is the perfect opportunity to reach out to customers or potential consumers and connect with them. You may ask, “Earth Day and marketing?” How could those two possibly go together? Today we’re going to discuss how to embrace Earth Day in your marketing efforts. When you think of Earth Day marketing, the first though to pop into your head should revolve around social media. If you want to connect with your audience, then social media is the best way to go, especially on a “minor” holiday like Earth Day. Share about Earth Day through your various social platforms and see how you can spice things up a bit to show more of your personal brand. For instance, generate an Earth Day GIF, show a picture from your organization or create an Earth Day meme related to your product or service. Search online for other examples of companies who have shared about Earth Day on social media and reaped the benefits of it. Next to social media comes content marketing on Earth Day. Integrate your content marketing with information, examples or knowledgeable material about how Earth Day relates to your brand. For example, write a blog post about Earth Day or send out an email to your customer list celebrating Earth Day with them. This type of material demonstrates how much Earth Day means to your organization, and displays your brand in a positive light. Thirdly, use Earth Day as an opportunity to connect with your target audience by offering a giveaway in connection with the holiday. For instance, offer a reusable mug or bottle to a social media follower for liking and sharing your Earth Day post. Or, offer free Earth Day T-shirts to the first 50 people that sign up for your email list. Everyone loves free stuff. Show your brand is eco-friendly and connect well with customers by offering an Earth Day giveaway in this upcoming week. Alongside a giveaway comes an Earth Day promotion or sale. If you’re with a brick and mortar business, this is the perfect way to get people through your door and learning more. Even for online businesses, small sales and promotions in connection with a minor holiday like Earth Day are a great way to get visitors engaged with the brand. See what Earth Day promotion you have to offer and how you can connect products or services with the holiday. Finally, commemorating Earth Day is a great way to show how much a business cares about the community and altruistic causes. Give back by hosting a charity event that relates to the holiday and the business. Build up your brand in a positive light by sponsoring a community garden day, hosting a clean up day or offering an educational event for community members to come and learn more about how to go green. 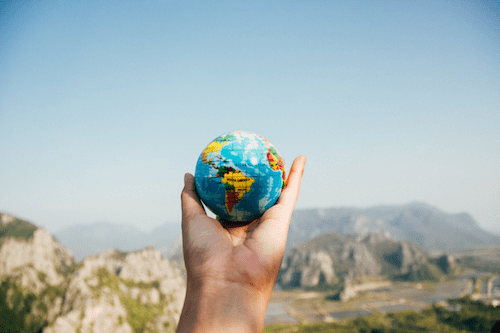 While Earth Day and marketing might not be the first combination to pop up in your head, they’re the perfect way to connect with a target audience on a new level. Try these tips for this upcoming week and embrace Earth Day in your marketing efforts.